Bahama's VEKA Matrix fully-sculptured System is extremely popular. With curves and slender sightlines, it captures all the best features of timber, with the added advantages of a technically advanced PVC-U system. We can supply a whole suite of fully-sculptured goods that match the window system including front doors, French doors, patio doors, composite doors and bay windows. If you are researching the cost of double glazing you are sure to find a very varied range of double glazing prices. There are many companies out there that will offer you a low price and then cease trading during the guarantee period. 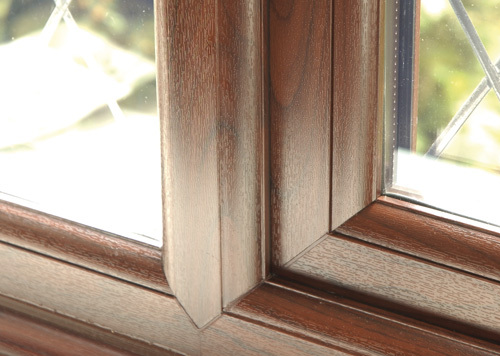 Most often, this low replacement window cost is often reflected in the quality of goods and workmanship, leaving you with a bad headache when problems caused by this come home to roost. With Bahama not only will you receive competitive double glazing quotes, usually somewhere in the middle of 3 or 4 quotations price-wise, but you will also have the peace of mind that your replacement double glazing have been quality manufactured to a high standard and fitted using expert knowledge and a wealth of experience. All backed by the unbeatable Network Veka guarantee that makes sure your installation goes well and will take over the complete guarantee should our company fail sometime in the future. We recognise that you need to be reassured that the double glazing costs do not become too expensive, when taking part in this maybe once in a lifetime home improvement investment. Bahama's double glazing quotations are comprehensive and will include everything you require from product to installation. If you are unsure of your replacement window costs then one of our representatives will be pleased to give you a call or visit you at your home to explain the details as well as going through all the options that are available to you.